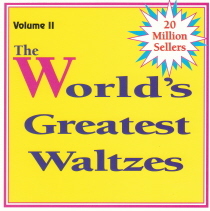 "“The World’s Greatest Waltzes, Volume 2” presents 20 Hits by some fine artists. Check out this classic music. Don’t pass this CD!